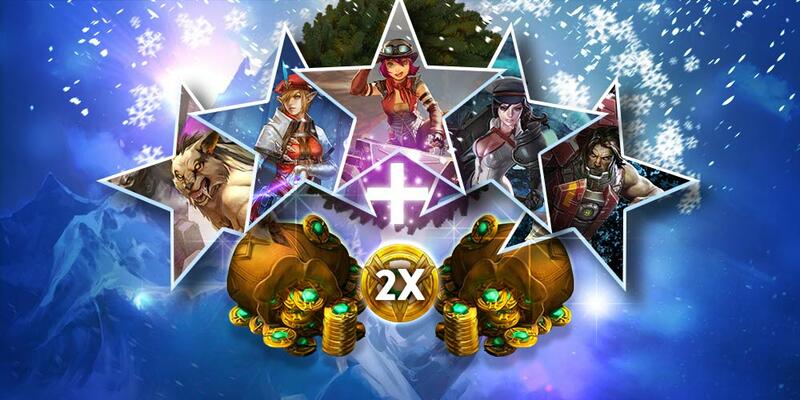 Holiday Sale Event: Play Now for Double Fame! Free Hero Rotation (January 3): Try Lyra, Blackfeather, Baron & More! To celebrate the new guild features released in Update 2.0, Vainglory will be offering players Double Fame for the week of December 21-29. For starters, joining a guild automatically gets you 750 Glory. You can put that towards a skin or hero that you’ve had your eye on. Additionally, you’ll have access to Guild Chests every 5th level– not only will you be helping your guild move up the ladder, but you’ll be earning additional rewards for yourself! Guild members earn Fame, a currency that accrues the more you play as a guild member. Earning fame is a great way to get bigger and better rewards. The higher your fame, the better your Guild Level and the better your Guild Chest. Guild Chests initially contain Glory but at higher levels, include ICE. Per Update 2.0, players can earn fame even when playing solo, but you get even more fame by playing with guildmates. Play with two teammates and get 120% fame! 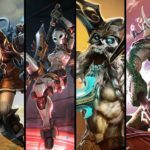 There’s never been a better time to join a guild in Vainglory. Released in Update 2.0, the new Guild Finder makes it easy to find a guild that fits your playstyle, play time and skill level. Whether you’re a seasoned ranked player ready for a new challenge or Just Beginning and looking for friends, there’s a guild out there for you. So this holiday season, join a guild or gather your guildmates — there’s Double Fame to earn and more exciting rewards than ever to unlock! For more information on the new guild features, check out our full article. Free Hero Rotation (December 13): Try Vox, Krul, Phinn & More!